Greater Bay Shore dates to 1708. It just got younger. Coastal Kitchen & Daiquiri Bar uncorks a stylized, evocative urban design in a Main Street building with great bones, refreshing the increasingly lively downtown. And the food matches the style. 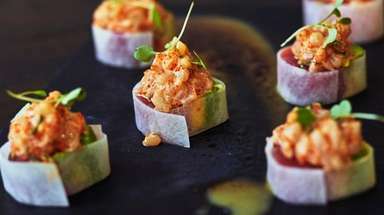 Coastal comes with its own stellar provenance, opened by the team behind Verde Kitchen & Cocktails, the Mexican restaurant and tequila specialist, also situated on Main Street. But Coastal sports a grittier, movie-set look on the former site of Bay Shore Furriers. The bold overhaul delivers a forest of distressed wood, vintage pressed metal, exposed brick and ductwork, an uncovered pockmarked wall, candelabras clothed in melted wax, and a copper-tone 50-foot bar any brasserie would envy. Heavy metal-and-wood bar stools and tables suggest a major reclamation project. Customers toss darts, strike billiard balls, play shuffleboard, listen to blaring music. And drink as much as they eat. Order a Papa Doble, a very dry daiquiri inspired by Ernest Hemingway’s favorite cocktail, which he had tailor-made at the La Floridita bar in Cuba. Twice the booze and no sugar in his high-octane drink. He is said to have downed 16 in a day, no doubt immediately learning for whom the bell tolls. Coastal’s is akin to the widely served adaptation, which keeps it dry but adds grapefruit juice. The bar also makes a lively blood-orange daiquiri, among its cocktails of the week. Or try a coconut-driven variation on the Negroni, a mojito gone Brazilian with cachaça, margaritas many ways and, of course, a Cuba Libre worthy of “The Godfather, Part II.” If you haven’t sipped a Mai Tai in a while, pick one here. The fine cocktails are backed by more than a dozen beers on tap, including seasonals from Oceanside’s Barrier Brewing Co., Northport’s Sand City and Montauk Brewing Co. Greenport, Blue Point and Fire Island beers are poured. Plenty by the bottle, too. In case you need a soft drink, the house-made lemonade will do. To accompany your beverages, Coastal has fashioned a menu of snacks, sandwiches and a couple of big plates, some with Caribbean accents. 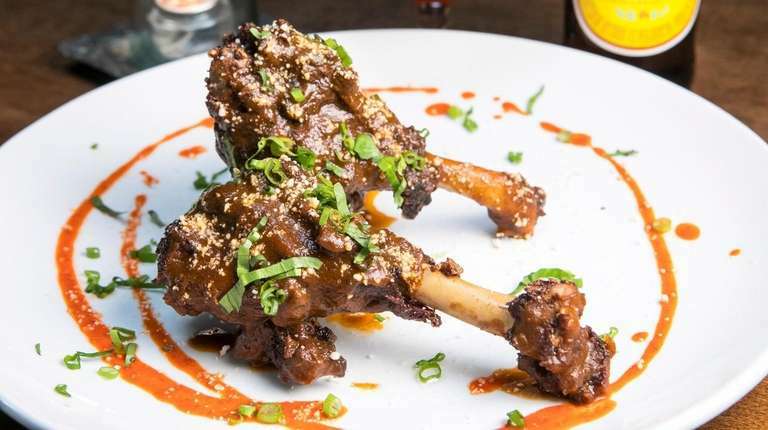 Duck wings, or confit drumettes, stand out, sparked by pasilla and chile de arbol peppers and served with a snowfall of cotija cheese. Buffalo-style chicken wings are meaty enough. 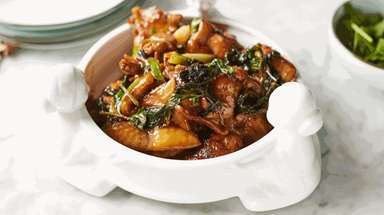 Pair either wing with mofongo bites, a spin on the Puerto Rican specialty with mashed plantains, here enriched with pork belly and shrimp. 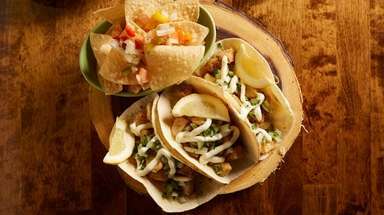 Fish tacos made with pan-roasted flounder satisfy, with grapefuit-habanero salsa and green papaya salad. Fire cracker clams, a sextet of littlenecks, deliver heat via roasted chili butter. 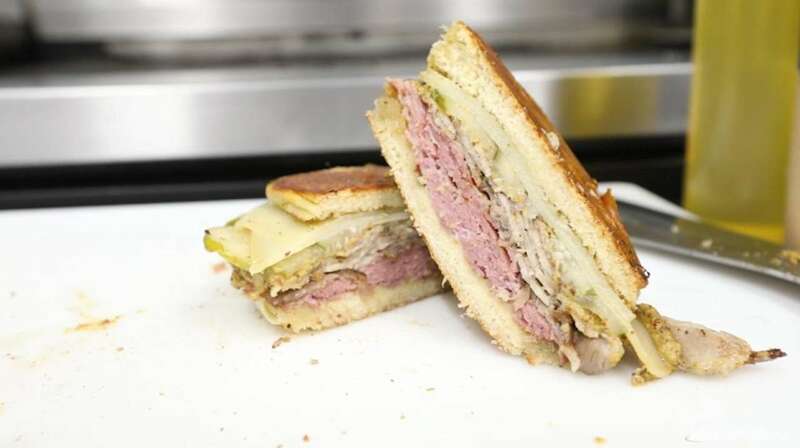 You’ll find a flavor-packed Cubano, the mainstay of ham, roast pork, cheese and pickle, boosted by dark rum molasses. 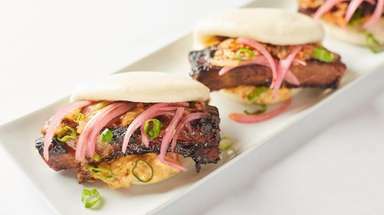 It’s rivaled by the jerk chicken number with pickled pineapple; and the Korean marinated and charred short-rib sandwich, kindled with kimchi and spicy aioli. But, despite the company of caramelized fennel and bacon, avocado and herb aioli, the house’s lobster roll is on the dull side. So’s the seared, near-sushi-rare tuna BLT, even with tomato jam, bacon and herb aioli. The namesake burger, layered with house-cured ham, grilled pineapple and Cheddar, and served with mango-habanero ketchup, borders on the overorchestrated but works with a beer. There are three larger plates. Plump mussels frites arrive finished with garlic-chardonnay butter, roasted garlic, lemon and white wine; or in a daily preparation. The savory, sofrito-sauced one is very good. Likewise, strip steak frites, salt-and-pepper rubbed and juicy. They don’t serve a lot of desserts at Coastal. But if the coconut pudding is available, you’ll enjoy what tastes like the filling of a grand coconut custard pie. And there’s always that pineapple-coconut margarita.